That's how digital cooperation works. We will bring you closer to your trading partners. With our help you can quickly and easily connect with your local retailers from anywhere. By using our products you ensure that your trading partners have access to your marketing material as well as stock availability at all times. 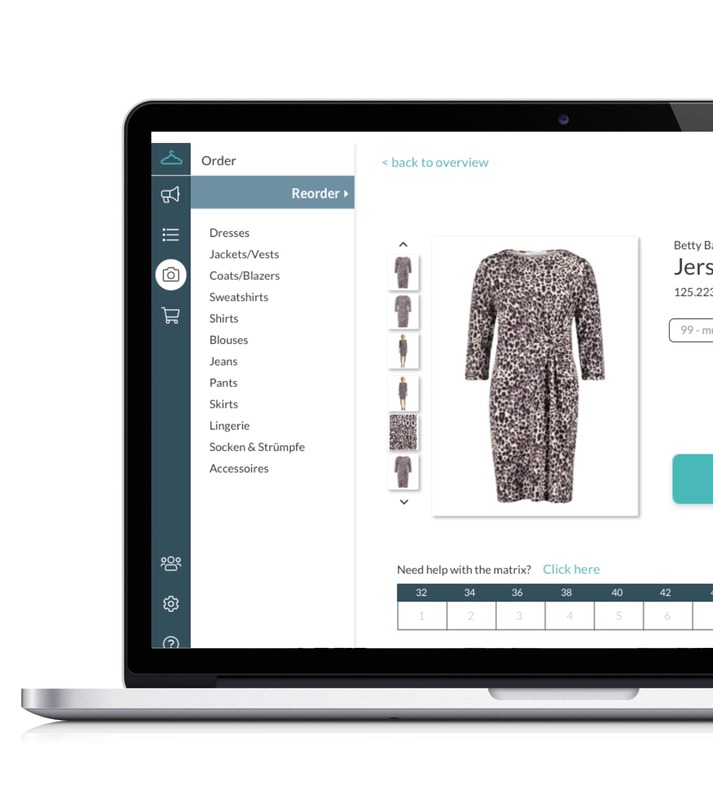 Fashion Cloud helps you strengthen your brand and generate measurable additional sales. With the Content Area on our web platform you can provide your retailers digital access to images, logos and product data. Benefit from one central, cross-supplier reorder platform. Re-ordering has never been so easy. Available in spring 2019. 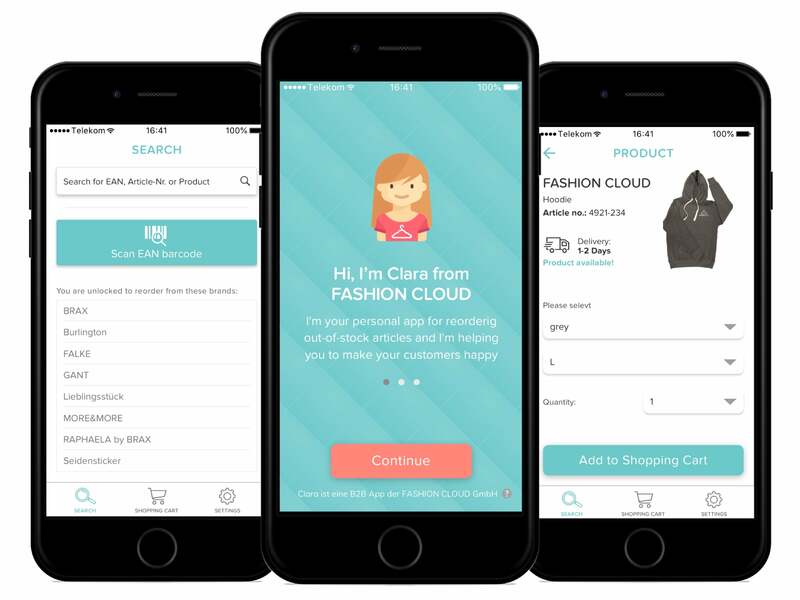 The Clara App makes the Endless Aisle easily accessible for local retailers. Once you are connected to the Endless Aisle, they are able to use the Clara App. Share your product catalogue via OrderWriter and allow retailers to enter their pre-order and directly transmit it to you. 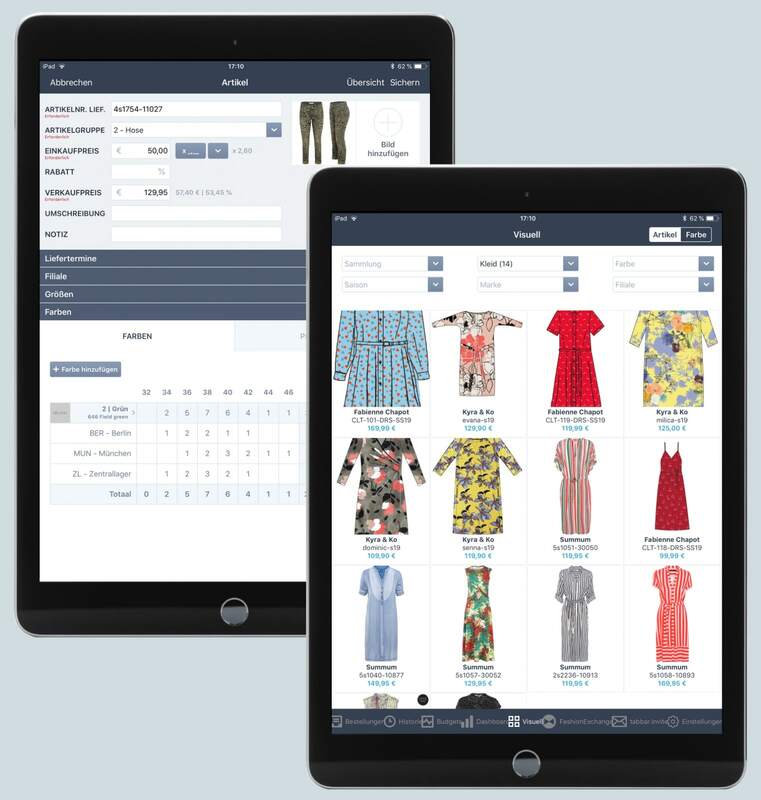 Through the integration in the retailers’ ERP systems, you will also be able to keep track of sales figures and stock availabilities of your partners.